Tearing apart my dufflebag of winter gear stuffed in the deep recesses of the closet (oh, that delightful smell of old polypro and fusty gloves! ), waterproofing and treating my 8-year-old pack boots to fend off the salty ice and water, prepping a "town" bag and a "camp" bag (nice to have duplicated toiletries, towel, shoes, etc. so one does not have to pack for town, then pack for camp, then pack for town throughout the season), asking myself, "should I bring my crocs?" (and then remembering that someone once told me that if I ask that question, the answer is always yes), finding out that I do NOT have enough socks for the season, contemplating what clothing items I am OK with ultimately smelling like a seal (I cannot come up with the words to describe the smell...ask me upon my return!). Half of our crew will be departing on Monday and are probably right now frantically considering all these things and many others left un-thought for the past week. I will be leaving in a second wave on Oct 5. For those unfamiliar, our route to the ice takes us to the opposite side of the globe....to Christchurch, NZ, where we will get equipped and ready to depart straight south to McMurdo, the largest research base in Antarctica. Our project? The Erebus Bay Weddell Seal Project. You will see and hear more as the season progresses. They're celebrating their 49th year!! Incredible. 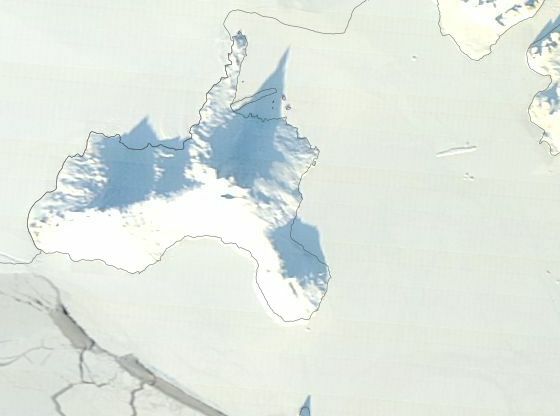 April 5, 2017 - the furthest extent of ice breakout from last summer. 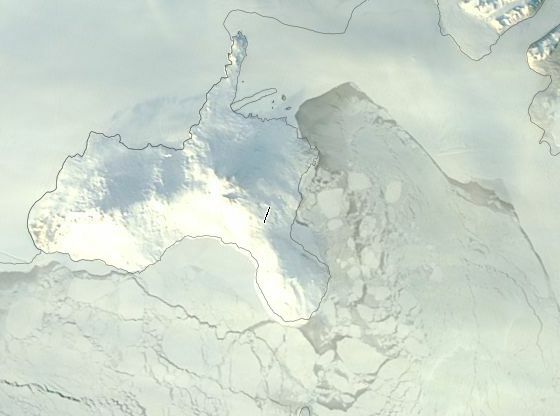 The grey outlined feature is Ross Island, and McMurdo is located at the very tip of the long northern arm. Sept 13, 2017 - the current extent of ice breakout. 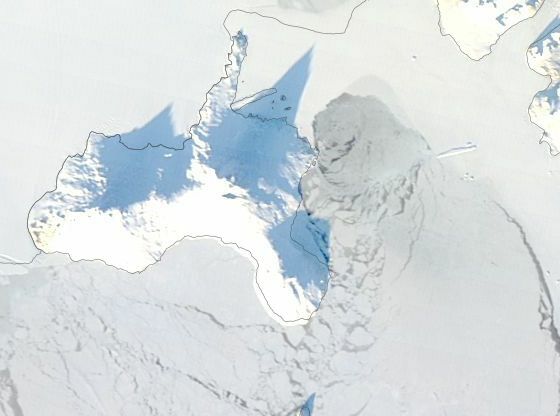 The sharply peaked shadow belongs to Mount Erebus, an active volcano. 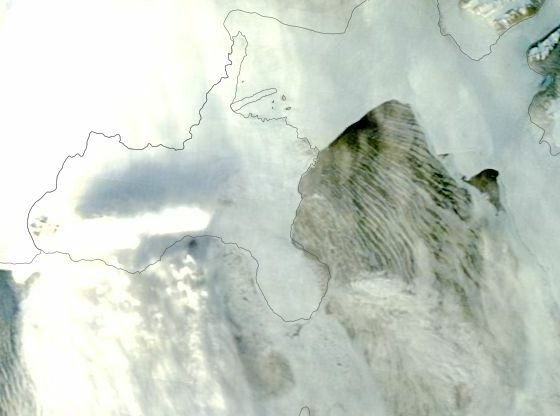 Our study area is essentially located in the shadow, where the island meets the sea ice. 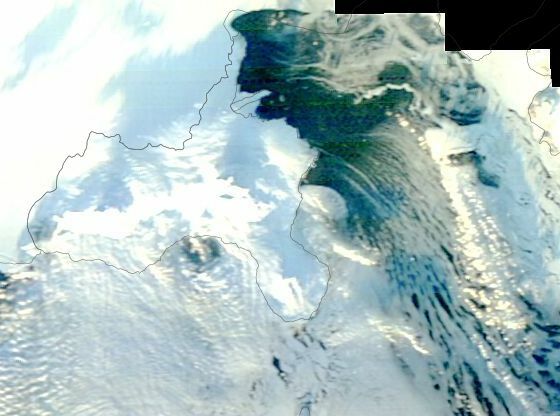 This is where tidal cracks form, and the Erebus seal population hauls out on the ice, mostly to give birth and to breed. So what do these images tell me? The first image tells me that there will be quite a lot of "first-year" ice...which typically means very flat and smooth snowmobile riding, as "multi-year" ice bends, rifts, breaks, buckles, and rots, much like mountain ranges. Which can result in slow snowmobiling trying to route around these features. But, one never knows how much sastrugi will form (wind drift snow banks beautifully carved and hollowed out), which can be hard as rock. The second image tells me that we are likely to have a fairly productive pupping year. Years where the sea ice edge is further away tend to yield fewer returning seals (but they usually come back another year!). It also means that the chance of seeing Adelie and Emperor penguins is very good! !